Set off for the hills about six o’clock in the morning and after about one hours driving we started to climb. 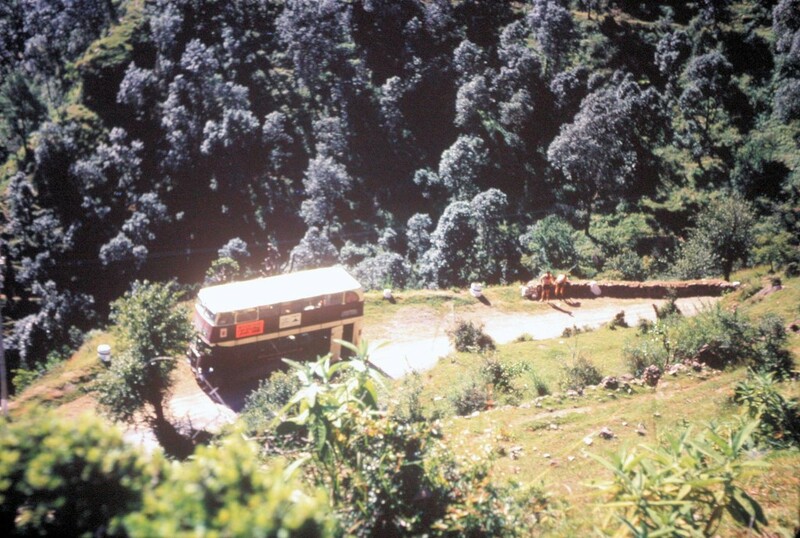 The road to Simla was very narrow at times with many hairpin bends similar to those in the French Alps. 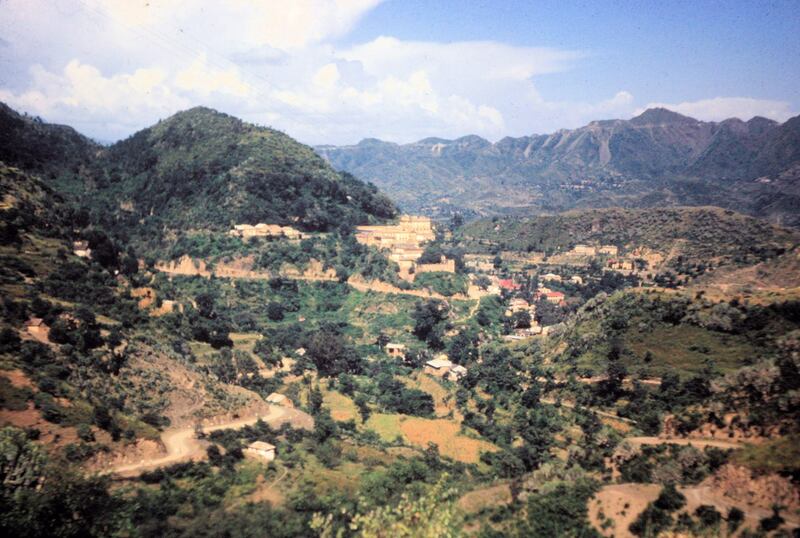 The vegetation also started to change from sub-tropical to forest and mountain shrub. Simla was a very beautiful mountain town though it was more heavily populated than I had expected. The fact that they are plugging themselves to the tourists may account for this. Rod and I saw the Sub-Director of Tourism, the Director himself was away on tour. Many of our questions regarding our immediate problems were answered. The first thing we were told we should do was to visit Arki and find out just what the score was. The local magistrate was therefore informed of our arrival. We spent a short time in Simla, posting letters, buying fruit etc and then left for Arki. The road was again very narrow and twisting. 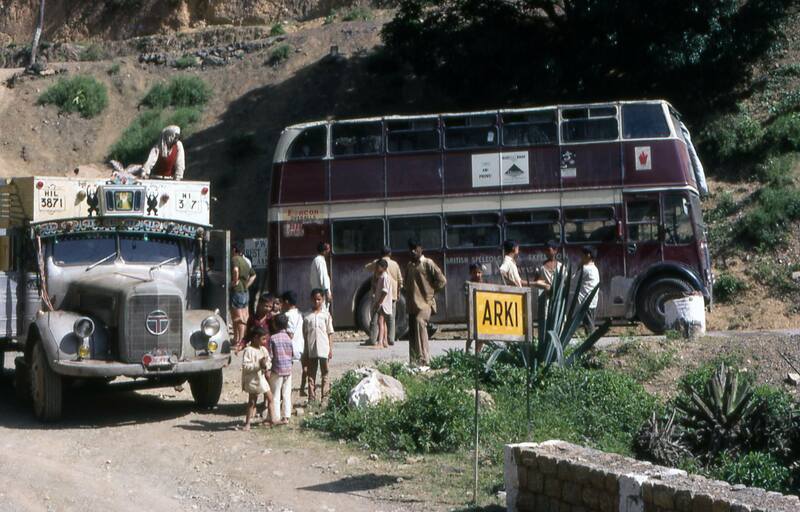 We left the main road from Simla to Bilaspur and took a short dirt track which wound its way down into Arki. Our arrival at Arki we became a side-show. 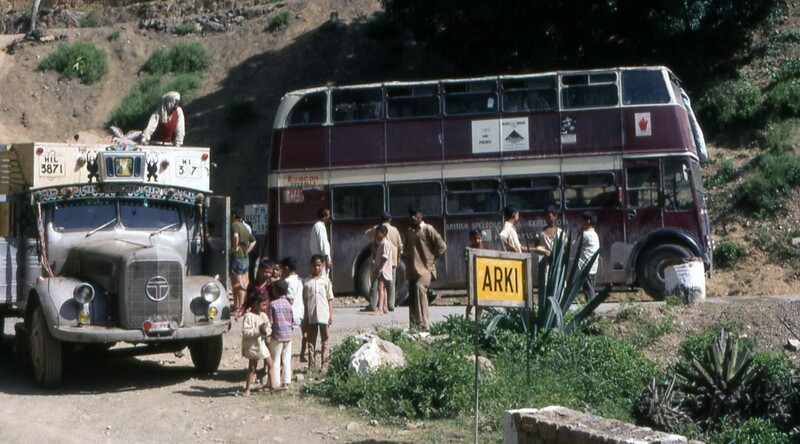 The locals had not seen a double decker bus before, so as soon as they found out that we had arrived they came to see us. We spent several hours showing small groups around the bus. We turned in about 11 o’clock at night after a very long and tiring day with 5189 miles on the clock. The weather was sunny and warm without the oppressing humidity of the plains.